Great boxart featuring Lee Byung-hun - the actor who played Storm Shadow in the live-action movies. Even though the other ninja - Snake Eyes - is the more-popular character in G.I. 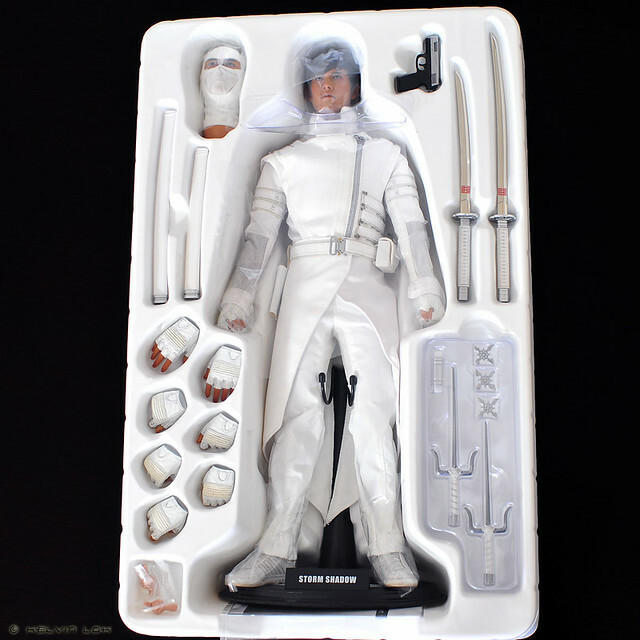 Joe series, my favourite has always been Storm Shadow! This set comes with some great weapons and accessories. - 2 katana swords that can be clipped together to form a double-bladed sword, just like in the movie! Stay tuned for more photos and review of this great figure! This is definitely a must get if you're a G.I. Joe (or Lee Byung-hun :P ) fan!